It is election day in the United States, and the tech figure who had one of the biggest impacts on the current cycle is perhaps a non-obvious one: Jeff Bezos. Back in 2013 Bezos bought the Washington Post, whose coverage of the campaign has been exemplary. The august newspaper’s reporting, particularly the work of David Fahrenthold, has uncovered stories that have had a far bigger impact than any number of tweets or blog posts or calls for days-off-work in Democrat-safe California ever could have had. What Bezos understood is a technology industry truism: impact is made at scale through the construction of repeatable processes. In the case of the Washington Post, facilitating a strong, confident newsroom has reaped far greater returns than any of us can accomplish on our own. I’m talking not about Jeff Bezos, who bought the Washington Post yesterday, but rather Eugene Meyer, who bought the Post in 1933. Meyer left a lucrative career on Wall Street in 1920 to seize the burgeoning opportunity in industrial chemicals and founded Allied Chemical (today’s Honeywell). After making millions, Meyer spent the rest of his life both in public service and building the Post, spending millions of his own money in the process. It’s this tradition that makes Bezos’s purchase feel momentous, a crossing of the Rubicon of sorts. The tech industry is now producing its own magnates, who are following the Rockefeller playbook. See Mark Zuckerberg giving $100 million to the Newark school district, or Chris Hughes buying the New Republic. Neither though, feels as momentous as Jeff Bezos, the preeminent tech magnate, buying the Washington Post, the nation’s third most important newspaper. In this respect, what Bezos is doing feels almost obligatory. Technology — and I’m using the term very broadly here — has torn so much down; surely it’s the responsibility of technologists to build it back up. My life is just about the exact opposite of what you would expect from a technologist. I studied political science as an undergrad, was an editor of one of the largest student newspapers in the country, and planned to work in politics. After graduating I took off for Taiwan to travel and teach English, and ended up with a family. Six years later I managed to finagle my way into a top-tier MBA program, only to be rejected by every tech company (but one) when it came time for internships. I didn’t have the right background — I hadn’t lived my life in the technology industry. To say that this election cycle has only deepened those worries would be a dramatic understatement. 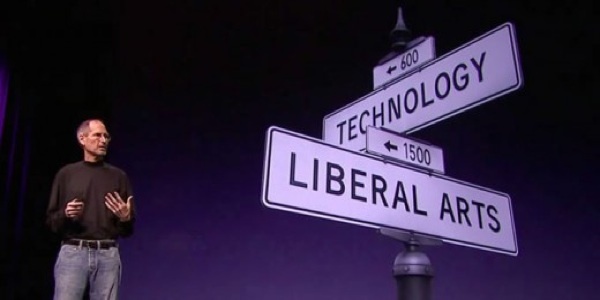 This is not a partisan statement, just an objective statement that technology has made objective truth a casualty to the pursuit of happiness — or engagement, to use the technical term — and now life and liberty hang in the balance. The magic of VR software is this feeling of presence. The feeling that you’re really there with another person or in another place. And helping this community build this software and these experiences is the single thing I am most excited about when it comes to virtual reality. Because this is what we do at Facebook. We build software and we build platforms that billions of people use to connect with the people and things that they care about. Leave aside the parts about virtual reality; what bothers me is the faint hints of utopianism inherent in Zuckerberg’s declaration: engineers can make things better by sheer force of will — and that Facebook is an example of just that. In fact, Facebook is the premier example of just how efficient tech companies can be, and just how problematic that efficiency is when it is employed in the pursuit of “engagement” with no regard to the objective truth specifically, or the impact on society broadly. Last spring Facebook was caught up in a ginned-up controversy about alleged bias: a solitary member of Facebook’s contracted Trending Topics editorial team claimed that conservative news stories were suppressed thanks to team members’ liberal bias. After an investigation Facebook found no evidence of said suppression, but went ahead and laid off the entire team anyways in favor of an algorithm; within days a fake news story was in Trending Topics, and at least four more followed in the next few weeks. Granted, trending topics has always been a sideshow; what is much more disturbing are the revelations that fake news is widespread in Facebook’s news feed; unsurprisingly, given they are human, many Facebook users wish to connect with people and things that confirm their pre-existing opinions, whether or not they are true. Make no mistake, this results in a great business: I have written effusively about Facebook’s financial potential and noted that the News Feed algorithm is a big reason why Facebook Squashed Twitter. Giving people what they want to see will always draw more attention than making them work for it, in rather the same way that making up news is cheaper and more profitable than actually reporting the truth. Those who won our independence believed that the final end of the State was to make men free to develop their faculties, and that, in its government, the deliberative forces should prevail over the arbitrary. They valued liberty both as an end, and as a means. They believed liberty to be the secret of happiness, and courage to be the secret of liberty. They believed that freedom to think as you will and to speak as you think are means indispensable to the discovery and spread of political truth; that, without free speech and assembly, discussion would be futile; that, with them, discussion affords ordinarily adequate protection against the dissemination of noxious doctrine; that the greatest menace to freedom is an inert people; that public discussion is a political duty, and that this should be a fundamental principle of the American government. They recognized the risks to which all human institutions are subject. Brandeis’ concurrence was a defense of free speech, the right of which applies to government action; private companies are free to police their platforms at they wish. What, though, does free speech mean in an era of abundance? When information was scarce, limiting speech was a real danger; when information is abundant shielding people from speech they might disagree with has its own perverse effects. To be clear, Twitter has a real abuse problem that it has been derelict in addressing, a decision that is costly in both human and business terms; there is real harm that comes from the ability to address anyone anonymously, including the suppression of viewpoints by de facto vigilantism. But I increasingly despair about the opposite extreme: the construction of cocoons where speech that intrudes on one’s world view with facts is suppressed for fear of what it does to the bottom line, resulting in an inert people incapable of finding common ground with anyone else. This is why Twitter must be saved: the combination of network and format is irreplaceable, especially now that everyone knows it might not be a great business. For all the good that the Washington Post has done it is but one publication among many; the place where those publications disseminate information is the true scale, but Facebook has made its priorities clear: engagement and dollars, leavened with the certainty that engineers can make it all better; the externalities that result from a focus on making people feel good are not their concern. The weakness of Twitter, in contrast, is its unwieldy reliance on humans, to build their own feeds, to find a new network, to broadcast to potentially no one what they think. The payoff, though, is the capability of spreading information more widely and more quickly than has ever before been possible; the societal benefit is an externality that needs to be preserved. Previous post: Exponent Podcast: Should Apple Buy Netflix?